Plot: Four young outsiders teleport to an alternate and dangerous universe, which alters their physical form in shocking ways. The four must learn to harness their new abilities and work together to save Earth from a former friend turned enemy. Back in the day, as I was watching Fantastic Four (2005), I was introduced to Michael Chiklis making rock puns as The Thing and it was just awful. In 2007 I was treated to Fantastic Four: Rise of the Silver Surfer. In the sequel I had the pleasure of Morpheus voicing a reject T-1000 model from the group of extras in Terminator 2: Judgment Day as the Silver Surfer. 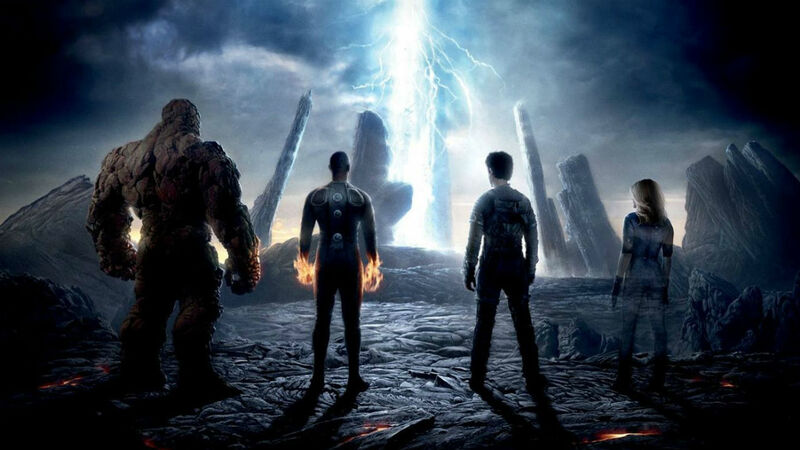 Needless to say, I didn’t care for Fox’s attempts at adapting Fantastic Four from the hit Marvel comics. There was a version made back in the 90’s as well…we won’t talk about that. There have been many chances to launch one of the oldest groups of superheroes onto the big screen. I was hopeful for this version and hopefully branching off a pretty good franchise. This isn’t the big steaming pile of junk everyone is making it out to be, but it also far from good. …there were a lot more issues. First, it was the script and dialogue. The dialogue was stale, cheesy and downright laughable in some parts. Secondly, Trank didn’t give any life into these characters. Everyone appeared soulless and The Thing and Doctor Doom were wasted and were given nothing but a passable role to further the story in some areas. Thirdly, this wasn’t a self-contained film and it was all setup for sequels. Everything after the halfway point felt rushed as if they were trying to hit certain points to setup the future of the franchise. And last but not least, Doctor Doom was one-note with no development and provided a weak climax for our four characters in the “final” battle. I did rather enjoy Miles Teller as Reed Richards, Kate Mara as Sue Storm and Michael B. Jordan as Johnny Storm. I thought their chemistry was really well done and I felt that connection. Everyone delivered cringe-worthy lines, but no one was staler than Jamie Bell as Ben Grimm and Toby Kebbell as Victor Von Doom. There was no life to them and there was no development between either. Kebbell played a one-dimensional villain with no emotional weight. He was there and then, bam, he was gone. All in all, I never felt like they weren’t in any true danger. That’s how flat the acting was for the most part. Some of the set pieces and a few shots were memorable and nailed the sci-fi horror tone to it and gave kind of a creepy vibe. I didn’t care for when they went to discover the planet. The terrible CGI took me out of the movie and it reminded me of those terrible set pieces on the CGI-heavy film, The Adventures of Sharkboy and Lavagirl. It wasn’t believable in the slightest. How much was the budget again? The action sequences weren’t filmed very well either and were pretty flat. I wished they had breathed a bit more life into the action scenes with more creativity. Pros: I am jumping to the cons for constructive criticism. I rarely say this, but this film should have been longer. Clocking in at about an hour and forty minutes, it felt rushed and there were spots of under-developed characters and plot points. They needed to make this longer and put a bit more into it. At the same time, some of the scenes they have in this cut are boring (this goes back to the stale and lifeless acting). I wanted more added. That isn’t a bad thing. Trust me, most of us would have wanted it longer. And as stated above, the CGI scenes on the planet are deplorable. Overall: This isn’t an awful movie, but isn’t necessarily the best comic book movie either. The wooden acting, under-developed characters and plot, and lame, under-whelming final battle really brought this movie down. It also doesn’t help the fact that they were more concerned about setting up the sequels versus focusing on a self-contained story. With the problems I have, I still want them to continue the franchise and learn from their mistakes.